SHIPS WEEK OF JUNE 12th 2017 Celebrating the first 100 days in office, we feel the revival of the Coal Industry was one of President Trump’s most noteworthy achievements. Not only did it put tens of thousands of coal miners back to work, but it also put thousands of railroad workers also back to work, as all the major coal haulers, Union Pacific, BNSF, N&W and CSX all reported record car loadings of coal in recent weeks. Also not a widely publicized fact is that almost 60% of all the coal mined in the USA is EXPORTED to countries such as China, India, Japan and South Korea. (Even Mexico buys some American coal for their power generating plants.) 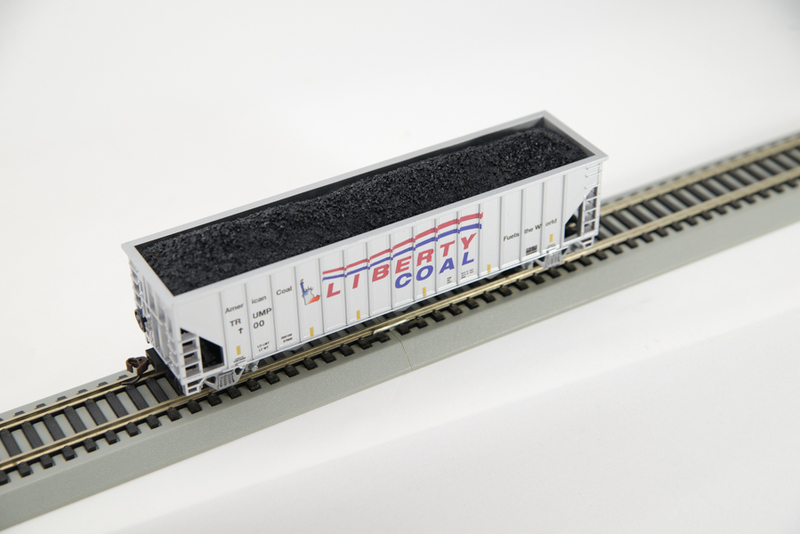 Decoration: • Silver car body with black underframe “Liberty Coal” with Statute of Liberty logo in Flag Blue and Red. 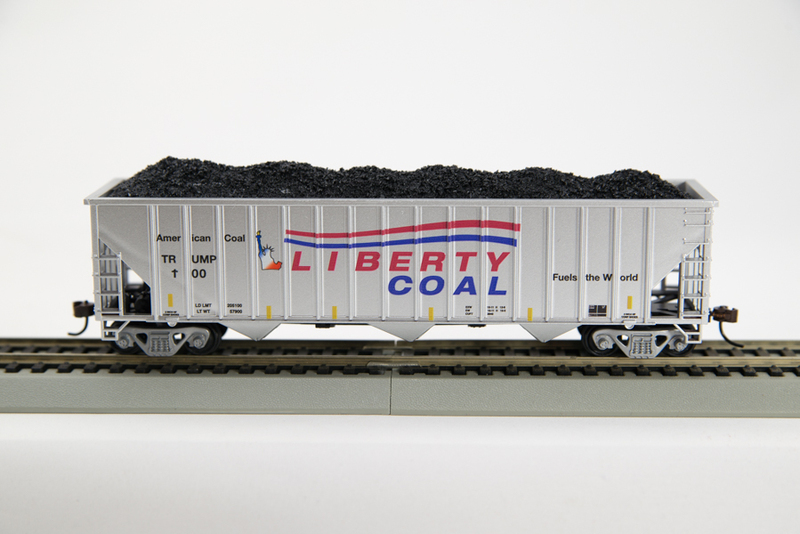 Slogan ” American Coal Fuels the world ” Features of the HO and N Trump Coal car: • Model of the Greenville 100Ton Coal car. • Includes highly detailed Resin Coal Load • RP-25 Wheelsets • Operating knuckle couplers, compatible with all other major brands • Section of Bachmann Straight Track come with cars that are sold with display track.